The best place to store art is somewhere you can see and appreciate it. Unfortunately, that’s not always possible. Sometimes, you don’t have space to properly display all the art you’ve collected over the years. Maybe you’ve moved to a different place recently, or you just got something new you’re really excited about. Maybe you just want to mix things up for a while. Whatever your reason for storing artwork away, it’s important you store that artwork properly. You wouldn’t want to come back to your art, only to find it’s warped or damaged beyond recognition! Storage Direct is here to help you store your art the right way. Just follow the tips below, and you can make sure your art stands the tests of time (and storage). Make sure your artwork is stored in a facility that has climate control. Fluctuations in humidity and temperature wreak havoc on paint and canvas. If you keep paintings in an uncontrolled environment, they could stretch, crack, tighten, rip, or even develop mold. The ideal temperature and humidity for storing canvas is approximately 53% humidity and a temperature of 70 degrees Fahrenheit. To maintain the quality of your artwork, you need to keep it somewhere with these exact specifications. Probably the easiest way to achieve these ideal conditions is to keep your canvas in a climate-controlled storage unit. 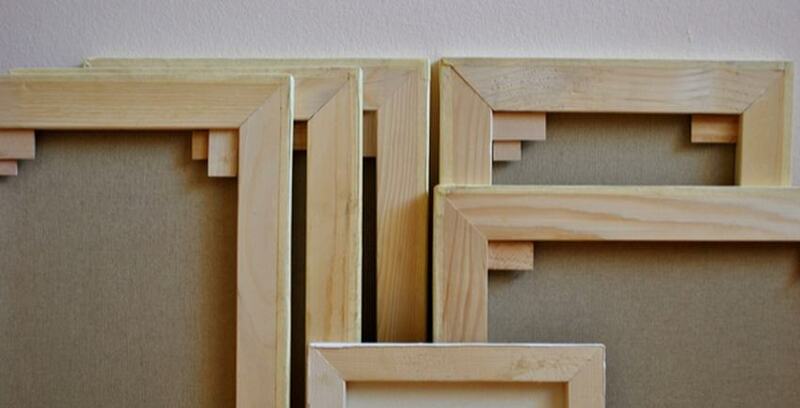 Package canvas and frames in a way that maintains their integrity. Storing your work in the proper environment is an important start, but it’s not the only thing you have to consider. You’ll also have to make sure you’re preparing it for long-term storage properly. First, make sure your art has the space it needs. Store framed artwork and canvas paintings separately, so they don’t put pressure on each other. Cover your canvas paintings with a clean cloth to prevent dust from gathering on them. Wrap your framed art in a storage blanket or bubble wrap and seal it with packing tape. Cover the front of your unframed art with silicone release paper. Then, place it on acid-free boards before you store them. Storing artwork properly means making sure it’s clean, secure, undisturbed, dry, and safe. If you can do all that, you can be sure your art will be safe for as long as you need to put it away.